This activity is available to participants of the live or on demand replay, of the Bug-Drug-Host Triad in the Era of Antibiotic Resistance satellite symposia and is intended to meet the needs of infectious disease specialists, critical care/pulmonologists, surgeons, pharmacists, nurses and other members of the health care practitioner team who have an interest in the management of Gram-negative infections. 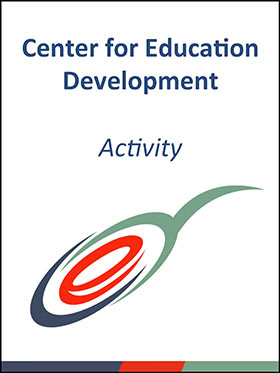 Center for Education Development designates this live educational activity for a maximum of 2.0 AMA PRA Category 1 Credit™, 2.0 CPE credit (UAN # 0498-0000-16-010-H01-P) or 2.0 ANCC credit. Faculty and staff disclosures were provided in the attendee materials distributed at the meeting and on the on demand activity web page. Created and published by CE Development. Printed in the USA. Copyright © 2016 Center for Education Development. All rights reserved. No part of this publication may be reproduced without written permission from the publisher. The material presented at or in any of CE Development continuing medical education activities does not necessarily reflect the views and opinions of CE Development. Neither CE Development nor the faculty endorse or recommend any techniques, commercial products, or manufacturers. The faculty/authors may discuss the use of materials and/or products that have not yet been approved by the US Food and Drug Administration. All readers and continuing education participants should verify all information before treating patients or utilizing any product.